Family in Dunsborough. 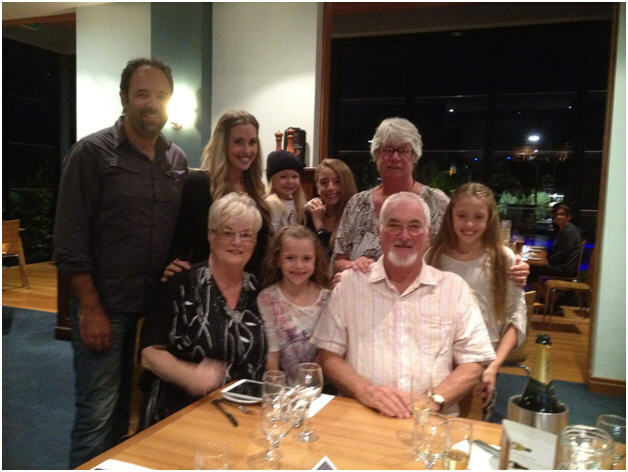 My Brother & his wife came over from the UK to Australia for their retirement celebration, as well as my own retirement It’s been 11 years since we last were all together, &, adding four little girls since, here we all are again. Due to my Ownership, I was able to treat the whole family – 9 of us staying in two Grand apartments and one 2-Bedroom Deluxe apartment in Wyndham Resort & Spa Dunsborough – spending some fun times and laughter as a family. It was an awesome few days we had together. I was so happy and impressed, watching my 72 yr old brother playing soccer with my granddaughters, who he had never met before, on the children’s playground, then continue to teach them how to play ping pong plus chess. My brother was amazed how good the girls were at swimming and having races in the pool. My 3 yr old granddaughter found her favourite spot & never moved from that place in the pool. 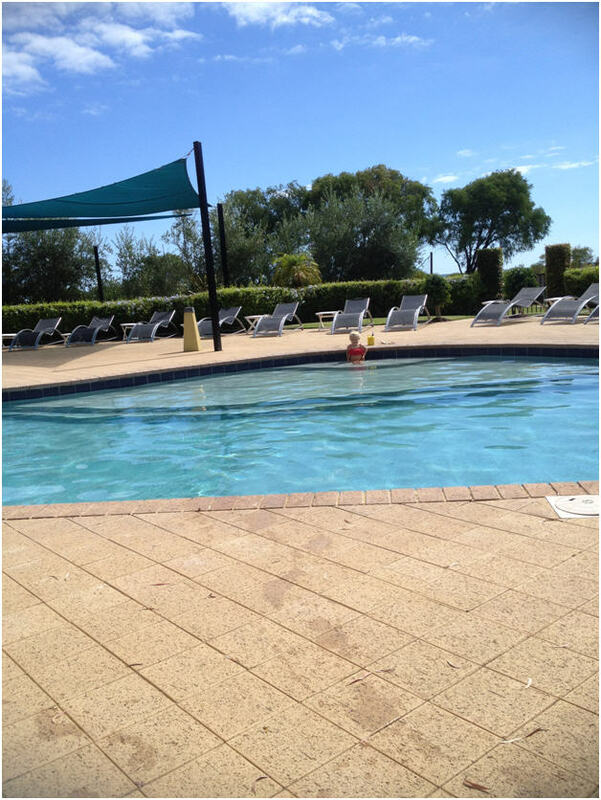 Every time we went to the pool, she loved watching her sisters & all the family swimming & playing in the pool, though no amount of encouragement/bribes would make her go in the pool or sit on the chairs – she was very happy in her special spot every day. Being Easter time, the girls enjoyed the Bunny hunt the resort had put on for the children. We had a lovely meal in Toby’s Restaurant, wonderful memories were created here never to be repeated again. We even treated ourselves on a real bottle of champagne. It was truly lovely food, a great night and very special. This time together was all because of my Ownership. My brother thanked me and said this was the highlight of the trip, and, considering they have been here for 2 months, I was very happy that I could do it. On the way home, the girls said, “It was the BEST holiday ever.” They kept saying they wished they were still there. As for me, it’s a dream come true. I have for many years watched and heard from couples sharing time together on holidays and finally it was my time. It was a wonderful moment in time that is locked in my head and heart forever. One of the best parts of all this is that I get my Credits again next year, awesome!!!!!!!!!!!! This entry was posted in (WA) Margaret River and tagged australia, Dunsborough, Easter, family, holiday, Margaret River, travel, vacation ownership, worldmark, Wyndham Resorts. Bookmark the permalink.